We are excited to announce that we have a new ship this year, and it is even larger and more cozy than before. We can’t wait to welcome you aboard the USS Enhydra for another amazing summer of fun in the sun as we explore all the best that Catalina Island has to offer! The USS Enhydra is roomier, comfortable and more luxurious, allowing you to feel like you are on a mini cruise as you enjoy your summer holiday! 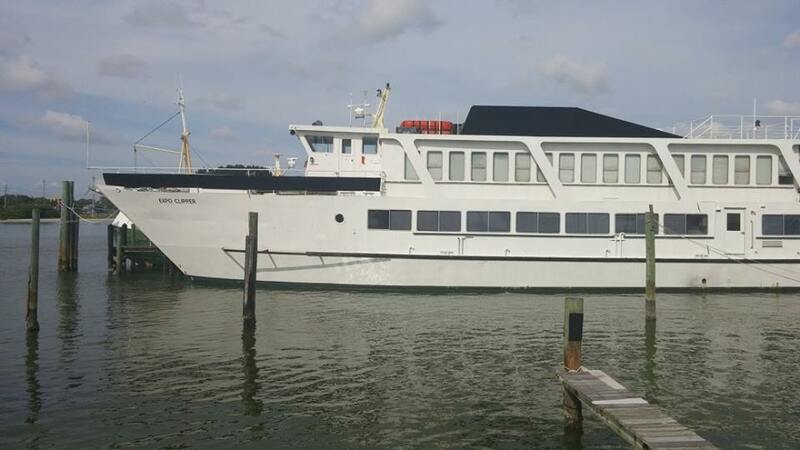 This will be our first summer session with the new ship, and all the staff are greatly looking forward to reuniting with you for the best summer yet! This summer we will be living aboard the USS Enhydra as we cruise around Catalina Island, exploring all the most desirable coves, beaches and dive spots! Enjoying such activities as snorkeling, kayaking, paddleboarding and playing in the water. Come join us for such rare and highly desirable activities as surfing on the backside of the island, cliff jumping, camping on remote island coves, visiting the quaint island village of Two Harbors, and walking down the boardwalk at Avalon. During out two week teen camp we trek to the highest point on the island and stay at the campground where you can enjoy a breathtaking panaromic view of the whole island, the Channel Islands nearby and the coast of southern California. We also camp out at Little Harbor, which is a small paradise island oasis. A short walking distance from Little Harbor is one of the most popular surf spots on the island, called Shark Cove, where campers can try out surfing, boogie boarding and body surfing. Or perhaps you would rather play on the beach or explore one of the near by trails. 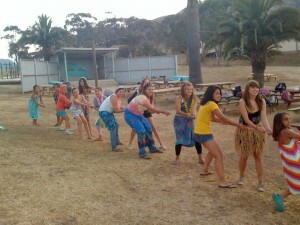 There is always so much to do at Catalina Island summer camp! Mountian and Sea Adventures has been running the most exciting and educational summer science camps for kids in California. MSA’s program is unique in that it focuses on imparting a love for natural science through hands-on experience oriented field research activities. Each child gets to experience the excitement of conducting real field research, and learning how to think and observe the natural world through the eyes of a scientist. MSA has partnered with the California Department of Fish and Wildlife offering a one-of-a-kind program at Newport Beach’s Back Bay Science Center, where campers get to utilize state of the art facilities and equipment to explore the back bay estuaries. This program is focused on both imparting a personal appreciation for the rich resource of the back bay, as well as display how much fun it is to learn environmental science! 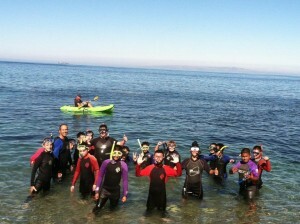 Located at the Cabrillo Youth Center, this day camp is centrally located near by some of San Pedro’s finest natural marine resources, such as the Cabrillo Marine Aquarium, Cabrillo Beach Coastal Park, a bird estuary, tide pools and the various facilities and equipment at the Cabrillo Youth Center. 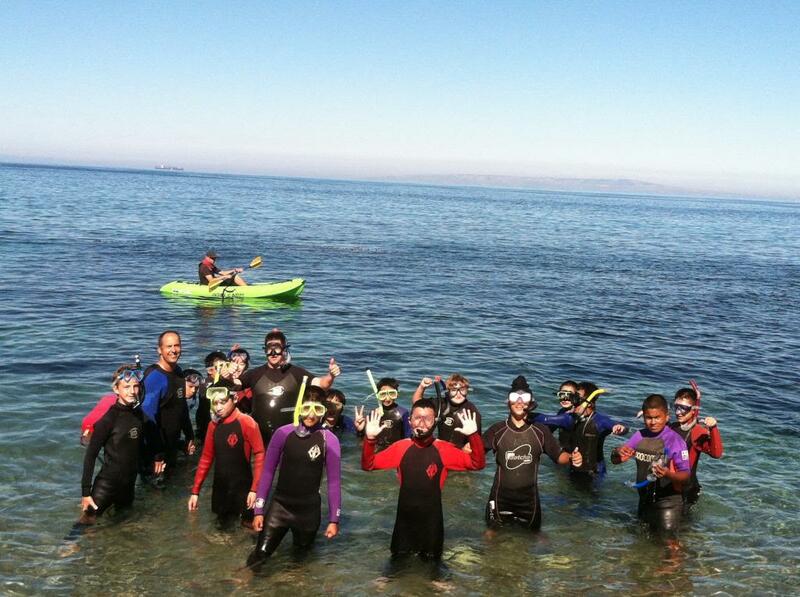 Students learn a new topic each week as they expand their appreciation for the marine environment. MSA’s most unique program of all is a week long journey aboard our new ship the U.S.S. Enhydra, which is fully stocked and loaded for both playing in and on the water and conducting ongoing marine science research. Campers get the opportunity to crusie around the island, visiting several various beaches and coves, and enjoying such activities as snorkeling, kayaking, exploring sea caves, hidden coves, beach games, hiking, fishing, sailing, paddleboarding, surfing, cliff jumping, camping and lots more! Sea otters are not only cute and incredibly adorable, being the smallest member of the marine mammal family, but they are also incredibly important for maintaining the health of many of California’s marine ecosystems. Since the sea otter has been absent from the California coast, we have seen an 80% decline in kelp forests, the main source of bio diversity for most of the coastal species of fish, invertebrates, seals, sea lions and other marine life. Sea otters are recovering much more slow in California than other areas they have been re introduced, this is due to high fatality rates arising from living in highly toxic and contaminated waters. In order for California’s sea otters, as well as the kelp forests, to make a comeback water qualities must continue to improve. 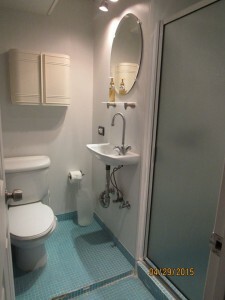 Switch to using only organic, nontoxic and environmentally safe detergents, solvents and other house hold liquids. Its not only better for the planet, but better for your health as well. Reduce, reuse and recycle when ever possible. Reduce the amount of plastic you purchase. Properly dispose of any hazardous waste, such as motor oil, etc. Use organic fertilizers, or none at all if you can. Plant a garden, the roots absorb water and reduce run off. Never dump anything into storm drains. Conserve water as much as possible. Pick up after your pets and never flush pet waste. Keep your car well serviced to prevent oil leaks. Donate to the California Sea Otter Fund. Stay informed about ocean issues, and share your knowledge with others! Although nobody can do everything, we can each do our part. Every little effort helps, and together we can create a world in which we can all live in peacefully and happily. Although not many residents of California are currently aware, there are major concerns regarding the vanishing kelp forests, which are one the most important marine ecosystems and habitats. Giant kelp is a type of brown algae that grows above rocky reefs typically no more deep than ninety feet. Massive kelp beds form creating one of the most diverse marine ecosystems in the world. California has already seen an 80% reduction in giant kelp forests in the last hundred years, one of the primary concerns for the kelp forests is the amount of contaminated storm water entering the oceans from the cities and carrying various pollutants along with it. One of the most well documented events concerning loss of kelp forest habitats was in San Diego County, when the nuclear generating station at San Onofre discharged heated water destroying over 150 acres of kelp forests. Although many people accused the nuclear generating station of releasing toxic water, it was more than likely the sudden increase in warm water that caused the giant kelp to die off to rapidly. Giant kelp thrives in cooler waters, which remain below 69 to 70 degrees. Another reason for the decline in kelp forests could be due to an increase in global ocean temperatures, however this would need to increase significantly to completely halt all growth. The loss of much of California’s kelp forests also coincides with another missing member of Calfiornia’s marine habitats, and that is the sea otter. Sea otters were almost hunted to extinction in California long before it was ever a state, but Californian’s have made great progress in bringing back this incredibly valuable part of the ocean’s health. Sea otters maintain the health of kelp forests by keeping the populations of sea urchins and other invertebrates in balance. If left unmanaged, sea urchin populations can grow too large and destroy an entire kelp forest by eating away at their base. The scientific method empowers students to apply their cognitive faculties to its optimal potential, deepening their experience of the natural world and enriching their interactions with all life. When students realize for them selves how much fun it is to explore the natural world as a field scientist, it opens up their eyes to the possibilities that await them. This initial awakening to the wonders of science is enough to inspire students to consider pursuing higher education and careers in the various scientific fields. This is the job of every good science teacher, to awaken a love for science in the hearts of their students by making it a real living breathing aspect of their lives, and displaying how to apply the scientific method to explore their own thoughts and ideas. Good science is all about asking the right questions, and learning how to perceive the topic of your research with greater awareness. The more students learn to observe their environment, the more they can notice the patterns and interrelationships as they unfold, and use this data to apply towards developing their own theories. In this way, the mental faculties of each student are allowed to fully blossom. Their ability to problem and engage in critical thinking is approved, as well. Field science teaches students to use their mind as a tool for understanding their surroundings, allowing them to make better life choices and healthier decisions. An incredible thing happens when a student becomes passionate about science, they are able to immerse themselves in experiencing life with heightened sensitivity and awareness. They begin to notice the smaller details and intricate aspects of so many things they overlooked before. Their ability to think objectively and analyze the relevancy of various facts is improved, as they learn how to harness the discriminative powers of their own minds. There are many ways a science teacher can go about imparting a personal love and passion for science in their students. One of the best ways is teaching how to keep and use a field journal. The field journal personalizes the process of scientific research, and gives each student a departure point to develop his or her ideas into a hypothesis or theory. By teaching your students how to keep a field journal, you are giving them all they need to take their understanding of science and apply it to their lives, where they can discover for themselves just how exciting the world of natural sciences truly is. Both locals and visitors, alike, have described Camp Emerald Bay on Catalina Island as the most elite and desirable cove on the island. There is definitely something special about this spot, with its tropical like emerald bluish-green water, to the world class facilities and breathtaking natural scenery. Emerald Bay has been rated as one of the top three dive locations in California and among the most desirable spots for both scuba diving and snorkeling in the whole world. This is due to the awesome bio diversity that surrounds the cove, with lush kelp forests, rocky reefs and sandy bottom ecosystems. This is a real treasure for first time snorkelers, whom get the chance to see many different species of marine life, from Garabaldi, kelp bass, Sheepshead, opaleye, and other fish, to leopard sharks, shovelnose guitarfish, bat rays, angel sharks, horn sharks, and plenty others. Sometimes students get the opportunity to play with sea lions, which are just as curious about the children as they are of them. Such interactions with nature and wildlife impart a deep love and appreciation for the natural world of marine sciences. 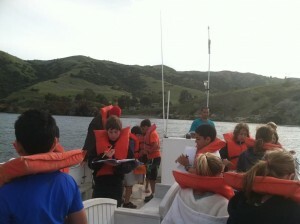 Mountain and Sea Adventure’s (MSA) program at Emerald Bay is unlike any other program on Catalina, or the whole world, as it combines actual hands-on field biology research with character building. 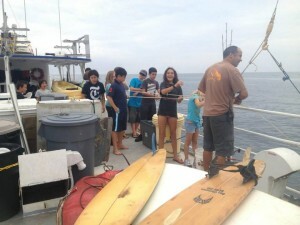 Students have the chance to participate in activities, such as snorkeling and kayaking, that push them to the boundaries of their comfort zones. The MSA staff encourages and supports each student, and utilizes such challenges as an opportunity to impart character and display altruistic values, such as courage, perseverance, and environmental stewardship. MSA’s program displays how field science can becomes a chance for students to explore the natural world more deep, and immerse themselves more fully in experiencing their environment. In the process of going beyond their previous limitations and what they considered possible for themselves, the self-esteem and self-image of each student is greatly improved. Courage is taken up again and again to break all fears, inhibitions and aversions, allowing students to prove to themselves that they truly can achieve what ever they set their minds on, and are capable of achieving greatness in any area of life they chose. By the end of their camp experience, each student has gained a valuable perspective on life – that they can become what ever they chose, and can attain whatever goals they set their sights on. There is no other overnight summer camp in southern California like MSA’s program on Santa Catalina Island. Campers enjoy a full week of such incredibly fun activities as boating, paddleboarding, exploring sea caves and hidden coves, swimming at remote beaches, kayaking, snorkeling and building new friendships that often last a life time. The chance to spend a week away at camp is the highlight of the summer for many kids and teens, which get to enjoy making new friends, exploring nature, and playing in the great outdoors together. 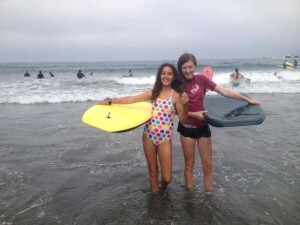 Summer away camps in southern California are the perfect opportunity to impart social skills, build high self-esteem and give your child real life experiences that build character and improve their self-image. 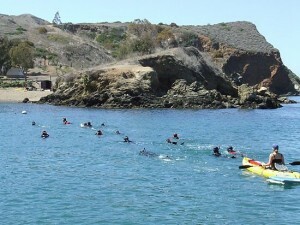 Mountain and Sea Adventures (MSA) has been running the best overnight summer camps in southern California for nearly 20 years, with their premiere location at Catalina Island offering California residents the chance to enjoy and immerse themselves in one of their most precious and valuable natural resources. MSA’s Catalina summer camps are both very exciting and highly educational, imparting a love for the ocean through hands-on field biology activates, water games and lots of marine science activities. When your student comes to Catalina summer camp, they get to enjoy visiting the most beautiful and desirable locations on the island by kayaking, snorkeling, and hiking the various trails and coves. This program is a truly an elite summer camp experience, offering a wide range of activities and experiences. The fact that the program is help aboard a marine research vessel allows your child the chance to comfortably travel around and visit the very best that Catalina Island has to offer. From the quaint island villages of Avalon and Two Harbors, to the remote paradise coves on the backside such as Little Harbor, your child can see and experience more of Catalina Island with MSA than any other program. During our two-week teen camp on Catalina, your teenager can hike some of the most beautiful parts of the Trans Catalina Trails, even trekking up to the highest mountain on the island, and spending a night at the incredibly breathtaking scenic viewpoint of Black Jack campground. Sea otters are one of California’s most loved and adorable marine mammals, their presence is greatly missed and great efforts are being put into action to help preserve and restore the once thriving sea otter populations along our coast. Sea otters were once wide spread along the entire coastal north Pacific, from Japan to Alaska, and all the way down the west coast of North America to Baja Mexico. 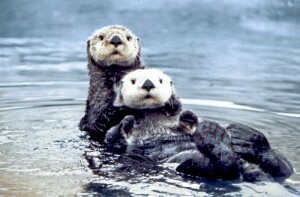 In California alone, sea otter populations were believed to be around six-teen thousand individuals. Then in the 17th and 18th centuries Russian and Spanish fur traders began exploiting sea otters for their pelts, and hunted them to the brink of extinction. 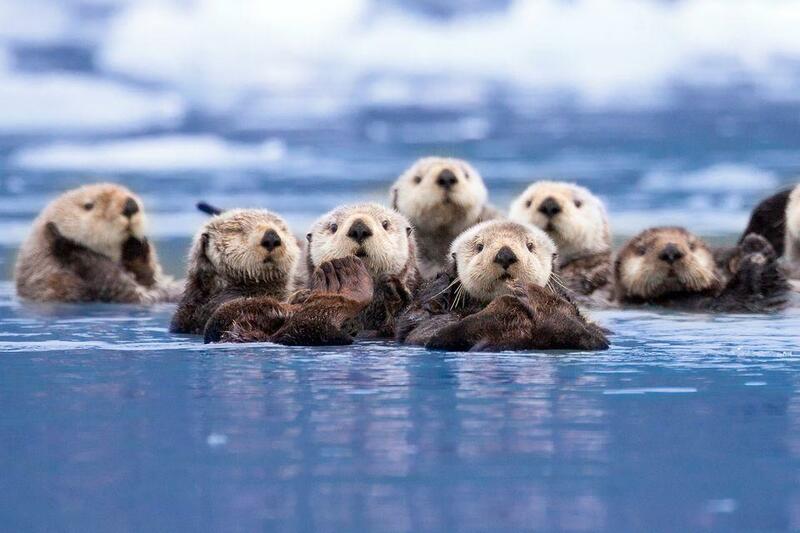 By the beginning of the 20th century it was assumed that sea otters were extinct, until in 1938 a small group of sea otters were found still thriving in the hidden crevices of Big Sur, California. It was estimated that there were 50 individuals surviving in this area. California began one of its greatest conservation efforts to protect and allow this small population to repopulate the California coast. Today the population of sea otters descended from this small group found eighty years ago has risen to just under 3,000 individuals! Why are sea otters so important to California’s marine ecosystems? Sea otters are a keystone species, meaning they have a larger role in maintaining the health of their ecosystems than other species. Sea otters love to eat benthic (mud dwelling) marine invertebrates, their diet ranges from abalone to sea urchins, crabs, marine snails, worms, sea stars, sand dollars, octopus, squid and others. However, most individuals specialize in one area of the over all sea otter diet. The most abundant habitat for many marine animals are the kelp forests that line California’s coast, and provide an abundant resource for much of California’s local marine life. In recent years we have seen a sharp decline in kelp forests, this has been occurring for several reasons, such as rising ocean temperatures, but it is also occurring because of the absence of the sea otters. 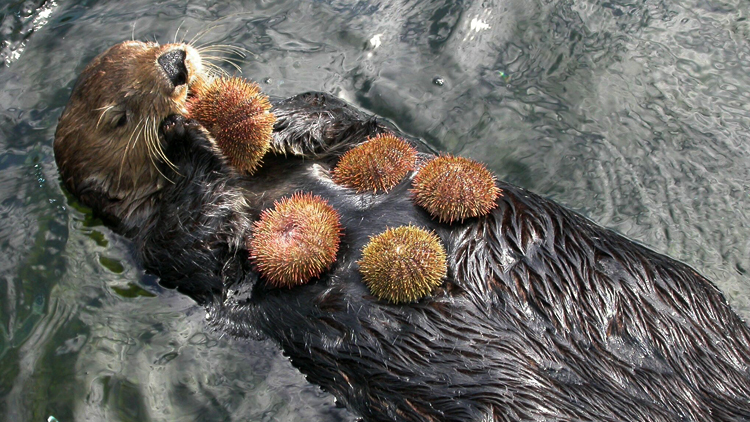 Sea otters keep the sea urchin numbers in balance; otherwise sea urchins eat the base of the kelp plant and eradicate entire forests. Sea otters can eat a lot of sea urchins! One interesting fact about this lovable, not to mention smallest (and therefore cutest!) member of the marine mammal family, is that they have extremely fast metabolisms because this allows them to release the amount of heat they need to stay warm in the frigid North Pacific waters. An average sea otter will eat 25% of its own body weight per day! Sea otters are integral members of California’s marine ecosystems, without them entire habitats are lost and contribute to the decrease in bio diversity. What are the primary threats to sea otters? Although sea otters have made a huge comeback in the last hundred years, their road to complete recovery is far from over. There are still many threats to sea otters; among the greatest are threats from chemical pollution, food limitation, loss of habitat, and nutritional deficiencies. California has made some huge mistakes regarding their treatment of sea otters. Although sea otters were listed as endangered in 1977, just nine years later sea otters were officially banned from the southern California coast at the behest of the fishing industries, which saw sea otters as a threat to their commercial exploits. This allowed sea otters in southern California to be unprotected from harassment and harm. During this time, any sea otters found were trapped and relocated to San Nicholas island, where it was claimed they would ‘be free from the threats of oil spills’; however, this effort was a disaster as many individual sea otters were either harmed or died trying to find their way home. 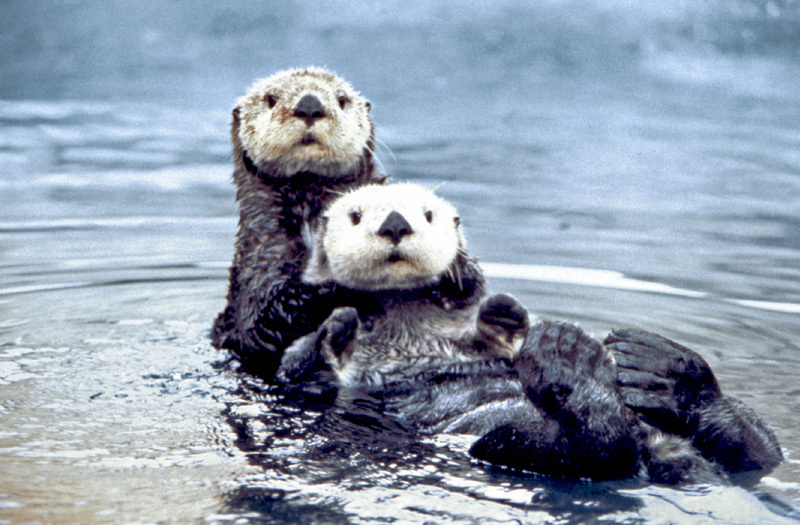 Beginning in 2001 the Fish and Wildlife Service declared that they would no longer trap and relocate sea otters, allowing them to return to southern California and repopulate. 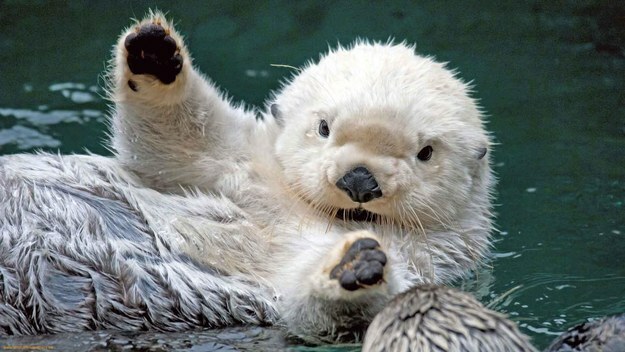 Regardless of the recent changes in attitude and concern for reintroducing sea otters, their numbers have not grown much since 2006, in fact in 2010 the US Geological Survey announced that numbers had declined for the second year in a row. However, the Californian people showed greater enthusiasm and expressed greater interest in helping this incredibly valuable species recover. In 2011, Californian Governor Jerry Brown signed legislation re-establishing the main source of funding for sea otter conservation programs, such as the California Sea Otter Fund, and has raised more than $1.5 million dollars in the last five years (well over their goal!). How Can Sea Otters Be Re Introduced? Although other populations of sea otters have showed encouraging signs of recovery, such as 17% to 20% per year in some areas, the California sea otters have progressed at a much slower rate, only 5% to 6% per year. This is due to a higher mortality rate from white shark attack, bacterial and viral infections, toxicity, poisoning, and various infectious diseases. The various inorganic pollutants traveling with the runoff from human habitations is considered to be the primary threat causing the decreased life span and high mortality rate for Californian sea otters. In order for southern California’s sea otters to return and live healthy long lives, the quality of the water will need to continue to improve. As more and more Californians see the personal and collective benefits to implementing environmentally friendly alternatives, there seems to be hope yet for creating the right conditions for the sea otters to live. Californians have shown great interest in helping the sea otter populations to recover, and in recent years we have begun to realize the vital role they play on maintaining the overall health of marine ecosystems, particularly the kelp forest. It is now evident that saving the sea otters not only means preserving this adorable and unique individual species, but it also means saving the foundation of our marine habitats. There is only so much we can expect our Federal, State and local governments and agencies to achieve for us. The real contribution must come from the way we each chose to live our lives. What we pour down the drains will end up being what the sea otters swim in. By using less chemical detergents and solvents, and choosing to buy environmentally safe house hold products, we can each do our part to make the planet a better place for each and every one of us!